Readers new to PRTools should start by reading the PRTools User Guide. Readers new to ClusterTools should start by reading the ClusterTools User Guide. In the paper: “Fast kNN mode seeking clustering applied to active learning” a number of experiments are described. The paper, the software used for the paper and a part of the data can be downloaded from here. Below some additional ClusterTools example files are presented. These are published Matlab m-files that can be run by the user. 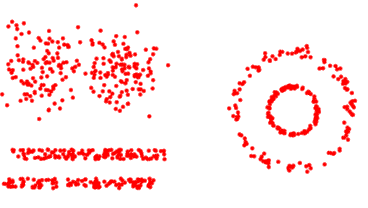 Introduction of clustering by ClusterTools. Learning curves of active learning performance.